MANY readers didn’t receive the newsletter with the link and password for Part One. If you did NOT, please email me at denisegroverswank@gmail.com and I will forward it to you. Hopefully, this won’t be an issue on February 18 when Part Two is sent out. The next Rose novella features POVs from Joe, Mason, Hilary, Skeeter, and Rose. It’s my longest Rose novella to date. As always, Ripple of Secrets will be offered FREE to my newsletter subscribers. The three installments will begin posting every three weeks starting Wednesday, January 28. IMPORTANT: This book has much more behind the scenes information than my previous novellas. And while I will recap important things in Thirty-Four and a Half Predicaments, you will probably want to read Ripple of Secrets. BUT PLEASE NOTE: I will only leave the novella on the website until the evening of March 16, 2015. ON MARCH 17, I WILL TAKE THE NOVELLA DOWN. Be sure to read it before it’s pulled if you want to read it for free. Thank you for once again letting us have this Novella FOC. I so look forward to all the goings on with Rose. I am really looking forward to Skeeters POV though! OH MY GOODNESS!!! Can’t wait! Including POV from Hilary and Skeeter again…can’t wait!!! That is so generous to let your subscribers read the novella for free. I can’t wait. I miss Rose and Co. so much and the novellas are my favorite! I have never been a big fan of series novels but this one just hooked me. I have enjoyed every book and even more enjoyable is reading as Rose matures and becomes a woman with a voice. When you read a book and become so close to the characters it is a bit sad to finish the book, but with this series you are able to continue on with the course of their lives. Keep ’em coming!! Thank you so much for opening these up for your subscribers! I actually found this series while I was waiting during jury duty. How funny is that?! I can’t wait to read this one and see what Mason, Hilary, and Skeeter are thinking! I love this series! How wonderful to offer this free. Enjoy this series so much. I’ve been signed up for your newsletter for a little while, now. I got the email you sent out on 1/21, reminding us abt having just one week left til the first part of the novella came out, but I didn’t get a newsletter today. :( Can it be resent? Thank you so very much! I am a huge fan of the Rose Gardner series. I read all the available in books in a span of 2 weeks! I was so looking forward to getting the installment of Ripple of Secrets but, I never got the newsletter. I double checked, and it says I am subscribed. Can I still access it? Thank you!! I have been so looking forward to reading this novella. I’ve been holding off starting a new book as I knew this was coming out, but I too have not received a newsletter making it available? I just subscribed to the newsletter today…Can I still get the first installment of the novella? Did not get email for Ripple of Secrets. I can’t figure out how to download the first installment? I haven’t received the first installment? Why not? hello, I deleted the email for the passcode by mistake. can you please send this to me again. this is for the Jan 28 Rose NOvella. I didn’t get the newsletter neither. I would love to read some more of the story. Let me know, please! I received the newsletter but how do I get the passcode? I also didn’t get the newsletter, and would really love to be able to read part 1. Thank you! 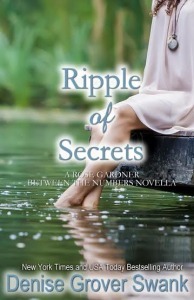 How can I access ripple of secrets part 1?…I am a subscriber. 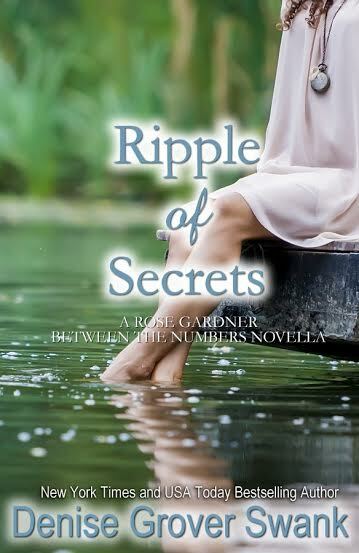 Joined a while ago to read your rose Gardner books..can not down load ripple of secrets..seems I’m not the only one,so disappointed ..why? I have just read all 9 parts of the book in one week. You have done an excellent job at hooking audiences. I have embarrassingly become an addict to this novel. I look forward to read the next parts soon. I’m a subscriber but haven’t gotten an email for part 2 yet? I subscribed and got the first installment…but I haven’t received the 2nd…Please resend!! I recently discovered the Rose Gardner series. I have read them non-stop since. I also signed up for the newsletter. Is there any possibility to receive the first two installments for Ripple of secrets? I recently discovered the Rose Gardner series when one magically appeared in my ibook library. I have read them non-stop ever since. I also signed up for the newsletter on March 6 (would have done it sooner, but didn’t know about it). Is there any possible way I could receive the three installments for Ripple of secrets? Just got back from a trip and don’t think I can wait one more day for the published version! I just finished the 3rd one and loved it. I posted a review on Amazon today. Thank you for the free copies. I’m having the same issue with part 3 that I did with part 2. Any chance for a resend?